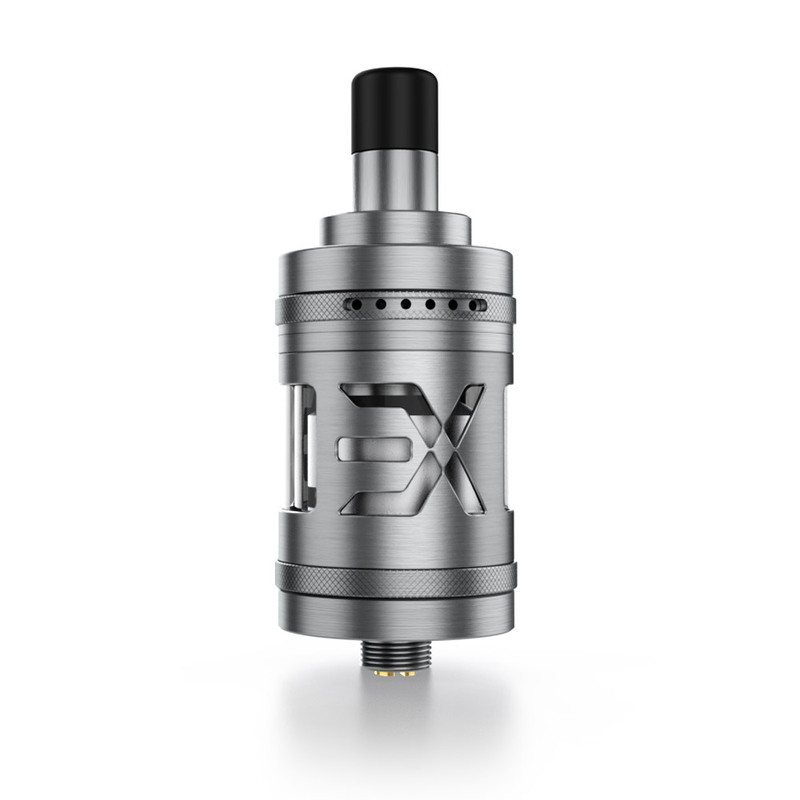 The EXPROMIZER V4 is the fourth generation of the MTL RTA designed in Germany. We have again set great store to design a RTA, which has a easy and comfortable handling. This time, we have put the focus on a top airflow to prevent leakage completely and make it easier to use beginners. Of course, the experienced users also benefit from this renewal. 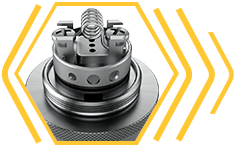 Unlike other Top Airflow systems, we have designed an air supply that, despite the top airflow, flows from below to the windings, a so-called top-to-bottom airflow. In contrast to the previous versions, the liquid channels have now direct contact with the cotton and thus provide for even better liquid flow. Together with the associated Liquid-Control, it is now easily possible to use any type of liquid. In the smallest setting can be used low viscosity liquids and liquids with a high viscosity can be used on the largest setting. 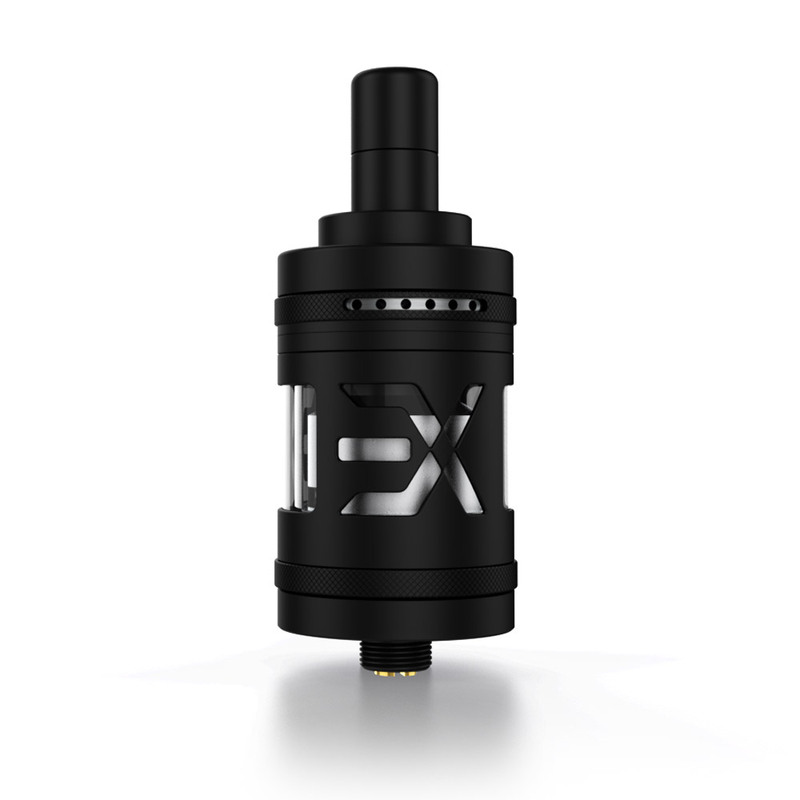 Also the EXPROMIZER V4 retains the single coil deck like the predecessor versions. Only a few small changes have been made to make the coil winding even easier. 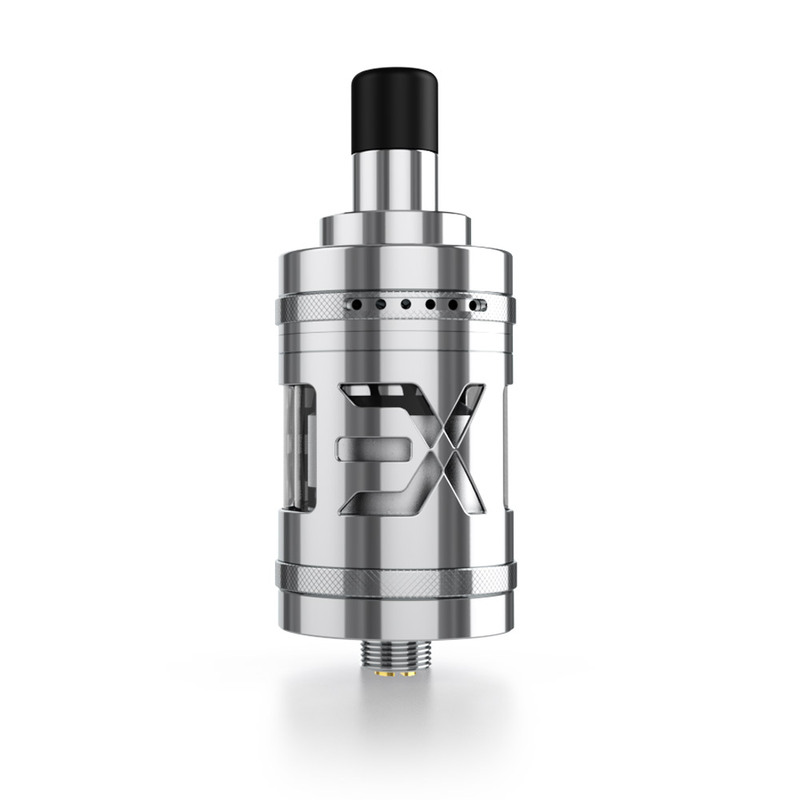 With the Top Filling Top Cap, the tank can be filled quickly and easily. By closing the liquid control before filling the flooding of the inside chamber is completely prevented and you can take time while filling. Easy single coil building deck. Just wrap a coil, connect the ends to the positive / negative posts and fixing it in place by tightening the screws. Very easy and comfortable top filling system. Just unscrew the top cap. Fill the tank with E-liquid and screw back the top cap. 5 steps liquid control system. Just rotate the Liquid Control to the preferred position. Small holes (diameter 1.4 mm), big holes (diameter 2.0 mm). 6 steps airflow adjustment. Just rotate the airflow ring to the preferred position. The holes sizes of only 1.0 mm diameter ensure a nice MTL Airflow. How to verify the authenticity of your product? We want to make sure you have a 100% authentic product. Each product comes with a unique security sticker and authentication number which can be found on the packaging. To purchase 100% authentic products, we strongly recommend you purchase from our authorized vendors. If you receive a product without security sticker, please return your device to the retailer immediately. 1. 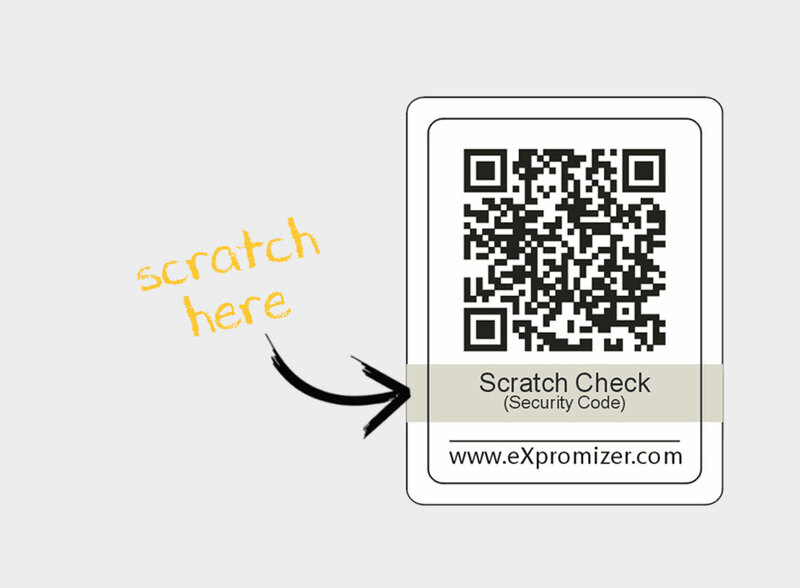 Carefully scratch off the silver coating to reveal hidden security code. 3. Click "Check" to see if your device is a authentic product. 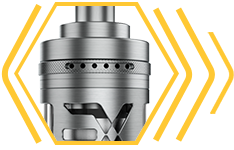 © 2018 eXpromizer &vert; powered by eXvape. 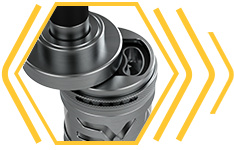 We have again set great store to design a RTA, which has a easy and comfortable handling. This time, we have put the focus on a top airflow to prevent leakage completely and make it easier to use beginners. Of course, the experienced users also benefit from this renewal. 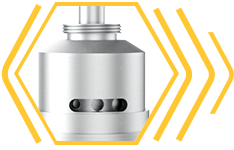 In the standard version the EXPROMIZER V4 has a capacity of 2ml, with the available seperately Bulb glass or the Extension Kit the tank volume can be extended up to 4ml.